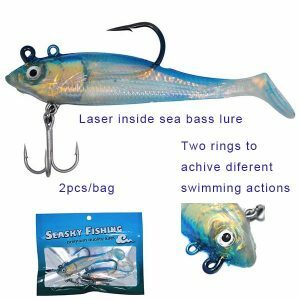 Add more products to give your customers exactly what they want.If you’re selling hard lures, why not sell fishing hooks as well? Your customers automatically get the best shipping rates, while you save time and money printing labels yourself. Customized soft fishing lures are available, and we supply support for different sales channels. Using directly our brand and package “Sea sky fishing” “kmucutie” soft fishing lures/baits for sales, no minimum quantity. You could send us the samples, we copy your samples to make the samples and start the production.